Question Papers for Various Universities of India. Download 10 Year Question Paper for Free. 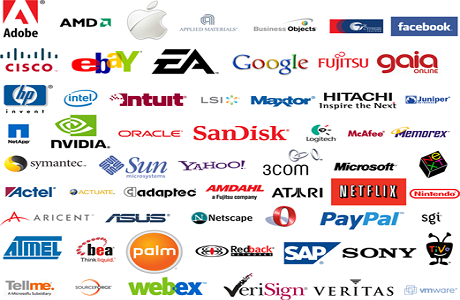 Placement Papers for Various Companies. Download Placement Papers for Free. 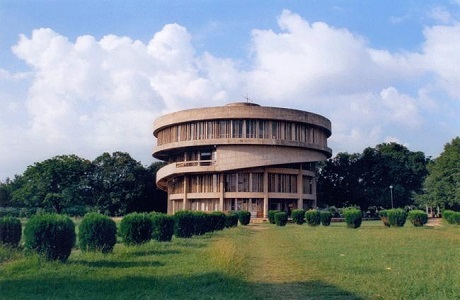 List of Various Universities in India. Get the List of Various Universities, Deemed Universities, IITs and NITs. 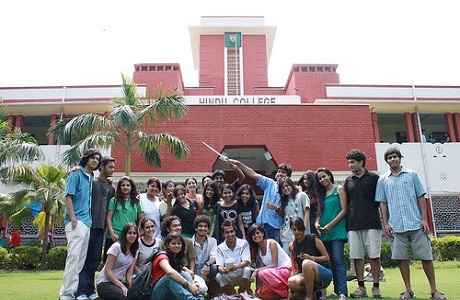 List of Various Colleges in India. MBA Admission criteria "Score of MAT + GD / Interview Conducted by Jamia Hamdard"
The candidate should have Bachelor's Degree in any discipline & 2 years of work experience after graduation (one year in case of Post –Graduation or those with professional qualification). Application Form can be obtained from IMT Admissions office against a Cash Payment of Rs. 1750/- or By Post with Demand Draft in favor of "Institute of Management Technology" payable at Ghaziabad or Delhi. A written aptitude test followed by personal interview. The aptitude test will be conducted at IMT Ghaziabad campus. PGDM (Executive) Programme, approved by All India Council for Technical Education (AICTE), Govt. of India, is a full-time, residential 15-months programme (12 months on campus and 3 months field based dissertation). Applications are invited for Admission to the Post Graduate Diploma in Management (Executive) Programme for the 2011 batch. Bachelor’s Degree in any discipline with at least 50% marks in aggregate. Minimum 5 years of work experience after graduation at Executive / Managerial level as on 30 June 2011 is required. Company-sponsored candidates will be preferred. Application Form can be obtained from IMT Admissions Office against a cash payment of Rs. 1750/- or by post with Demand Draft of Rs. 1750/- in favour of "Institute of Management Technology" payable at Ghaziabad or Delhi. Applications are invited for admission to the following courses offered by this University for the academic year 2011-2012. 7. M.P.Ed. (NCTE Approved) ( In addition to the Entrance Test, Practical Exam. & Viva- Voce will be conducted on the Same day of the Entrance Test). Filled-in application along with a demand draft towards registration fee should be sent to The Registrar, Madurai Kamaraj University, Palkalai Nagar, Madurai-625 021. (1 year) Funded by DBT, Govt. of India. A Bachelor's degree in Science (55% marks in Part – III) in any branch of Life Sciences – Botany, Zoology, Microbiology, Biochemistry, Genetics, Biotechnology, or equivalent- Physics, Chemistry, Medicine, Veterinary Sciences and Agriculture from any recognized Indian or Foreign University. Students with B.Tech. Degrees in Biotechnology, Computer Science, Information Technology and Bioinformatics, with Biology at +2 level are also eligible to apply. A first class Bachelor's degree in science courses where Biological Sciences – Botany, Zoology, Microbiology, Microbial Technology, Biochemistry, Biotechnology, Genetics, etc, is either a Major or an Ancillary subject. Students from professional courses such as MBBS, BVSc, BDS, B.Pharm, B.Sc.,Agriculture and related subjects from a recognized Indian or Foreign University are also eligible. A pass in B.Sc. degree (55% marks in Part III) in Biochemistry/Biotechnology/Genetics/Nutrition and Dietetics/ Microbiology/ Biology/ Botany/ Zoology/ Chemistry / Medical Laboratory Technology/Triple major with Biochemistry and allied subjects. A pass in B.Sc.-Physics, Electronics, Applied Science, Electronics & Communication, Instrumentation or Computer Science or any other B.Sc, degree with Physics or Electronics as ancillary subject with a minimum of 50% marks in Part III. The graduates with (a) or (b) should have 55% of total marks in Part III. only at graduate level are not eligible to apply. For SC/ST candidates a pass in the above disciplines is required minimum. Interview for PMT and AIEEE Feb 25, 2011 at 10.00 am in the IAS Training Centre. 10. Advanced scrubbing system like electrostatic scrubbers. The training program will be delivered through lectures, workshop sessions and field visits. Program Fee: Rs. 7,000/‐ for sponsored participants and Rs. 5,000/‐ for self‐financing participants (service tax @10.30% extra). The fee may preferably be paid in the form of DD drawn in favor of the Director, SAI Labs. payable at Patiala. The registration fee includes registration material, working lunch, tea and snacks between sessions, and field visit, and excludes the lodging and boarding expenses. Maximum of 30 participants. Applications must be made by 18th February, 2011. Registration will be on the first come – first served basis. Admission to Class XI is based on Merit of Secondary Certificate/Equivalent Examination. along with a request for application form clearly mentioning the course you wish to apply for, with your name at the reverse of the Bank Draft also. If you are a student of GNDU, Amritsar and looking for previous year question papers and sample model paper of various courses the click the following link to get details about these question papers. A) In questions such as below, identify the two statements necessary to make the conclusion in the beginning of the question true. 1. Seema is playing hockey. a) Seema is in the hockey team during the summer. b) Seema is in the playground. c) Hockey is played in the playground in summer. d) All the pupils in the playground are playing hockey. 2. Ramesh runs faster than Bobby. 3. Fifty candidates sat for the examination. d) Forty candidates were successful. 4. Romsha, Shweta, Amina & Lily sit in this order in a row left to right. Romsha changes places with Amina and then Amina changes places with Shweta. Whos is at the right end of the row? 5. In the above question who is to the left of Amina? 6. Five cars has a race. The Honda beat the Rover but couldn't overtake the Astra. The Renault failed to overtake the Granada but beat the Astra. Which car came last? 7. In the above question which car came third? 8. Jane can play the piano but not the flute while Jeremy plays the violin and the flute. Shelly plays the violin but not the piano and Josephine plays the flute but not the violin. If each child plays two of the three instruments, which one is likely to be similar to Jeremy? 9. A man drove from Appleby to Trytown. Shortly after passing through Ester he stopped for coffee at Broughton which was the halfway point on his journey. Which is the longest distance? • Pasta is served on three days each week, but never on Friday. • Lobster is served on one day each week. • Indian Meal is served on three days each week, but never on consecutive days. • Pasta and Pizza are both served on Saturday and Sunday. • Tuna is served five days each week. • No more than three different entries are served on any given day. 1. On which of the following pairs of days could the restaurant's menu of entries be identical? 2. Which of the following is a complete and accurate list of the days on which Pasta and lobster may both be served? 4. Which of the following statements provides sufficient information to determine on which three days Pasta is served? (A) Indian Meal and lobster are served on the same day. (B) Lobster and Pizza are both served on Tuesday. (C) Tuna is served on Saturday, and lobster is served on Tuesday. (D) Indian Meal is served on Saturday, and Pizza is served on all but one of the six days. (E) Tuna is served on Sunday, and Pizza is served on Tuesday and Thursday. • At least two of the dogs have learned to follow the "heel" command, but not the "stay" command. • At least two of the dogs have learned to follow the "stay" command, but not the "heel" command. • At least one of the dogs has learned to follow both commands. • Among the eight dogs, only terriers have learned to follow the "stay" command. 1. Which of the following statements CANNOT be true? (A) The group includes more females than males. (B) The group includes fewer terriers than shepherds. (C) The group includes more shepherds than retrievers. (D) More of the dogs have learned to stay than to heel. (E) More of the dogs have learned to heel than to stay. (A) All retrievers have learned to heel. (B) All shepherds have learned to heel. (C) All terriers have learned to stay. (D) No retriever has learned to stay. (E) No shepherd has learned to stay. (A) One of the dogs is a shepherd. (B) Four of the dogs are retrievers. (C) Three of the dogs are terriers. (D) Three of the dogs have learned to stay. (E) Four of the dogs have learned to heel. 1. People should be held accountable for their own behavior, and if holding people accountable for their own behavior entails capital punishment, then so be it. However, no person should be held accountable for behavior over which he or she had no control. Which of the following is the most logical conclusion of the argument above? (A) People should not be held accountable for the behavior of other people. (B) People have control over their own behavior. (C) People cannot control the behavior of other people. (D) Behavior that cannot be controlled should not be punished. (E) People have control over behavior that is subject to capital punishment. 2. Beautiful beaches attract people, no doubt about it. Just look at this city's beautiful beaches, which are among the most overcrowded beaches in the country. Which of the following exhibits a pattern of reasoning most similar to the one exhibited in the argument above? (A) Moose and bear usually appear at the same drinking hole at the same time of day. Therefore, moose and bear must grow thirsty at about the same time. (B) Children who are scolded severely tend to misbehave more often than other children. Hence if a child is not scolded severely that child is less likely to misbehave. (C) This software program helps increase the work efficiency of its users. As a result, these users have more free time for other activities. (D) During warm weather my dog suffers from fleas more so than during cooler weather. Therefore, fleas must thrive in a warm environment. (E) Pesticides are known to cause anemia in some people. However, most anemic people live in regions where pesticides are not commonly used. 3. The school district should not spend its money on the new Verbal Advantage reading program. After all, students get all the reading practice they need by studying history and science. The argument above depends on which the following assumptions? (A) The Verbal Advantage program would not help the students learn history and science. (B) Other reading programs are just as effective but less expensive than the Verbal Advantage program. (C) The Verbal Advantage program involves only reading practice. (D) Teaching students history and science is more important than teaching them reading skills. (E) The students can already read well enough to study history and science. (A) Advertisers generally switch from the most widely circulated newspaper to another one only when the other one becomes the most widely circulated newspaper instead. (B) Advertising rates charged by the most profitable newspaper in the city are significantly higher than those charged by its competitors. (C) The most profitable newspaper in the city receives revenue from its subscribers as well from advertisers. (D) The circulation of the most profitable newspaper in the city is still greater than than of any of its competitors. (E) The number of newspapers competing viably with the most profitable newspaper in the city has increased during the last two years. 1) The Japanese had to surrender _________ the Allies. A) Of B) from C) in D) to. 2) He disposed ____________ all his furniture. A) off B) of C) out D) in. A) to confirm B) to approach C) to tolerate D) to cancel. A) to cancel B) visit a person C) phone someone D) recollect. 5) The police tried to _______ the agitated mob, but in vain. A) obtrude B) pacify C) raze D) beat. 6) When I returned from my tour, I found that thieves had _______ my house. A) painted B) ridiculed C) ransacked D) refused. A) saint B) fanatic C) fraud D) philogynist. 8) One who makes a scholarly study of things of the past______ . A) Antiquarian B) Arien C) Anthropologist D) Arbitrator. A) Soft B) Harsh C) true D) false. A) serious B) fair C) unfair D) illusion. Mark the underlined part that has an error or mark no error. 12) Only about (A) 15 percent (B) of public undertakings (C) actually (D) do a profit. No error (E). 1) 3, 5, 7, 12, 17, 19 Find the odd man out. 2) 10, 14, 16, 18, 21, 24, 26 find the odd man out. 3) How many times in a day, the hands of a clock are straight? A) 120 litres B) 1200 litres C) 12000 litres D) 120000 litres. 6) What is the present worth of Rs.132 due in 2 years at 5% simple interest per annum? A) Rs.112 B)Rs. 118.80 C) Rs.120 D) Rs.122. A) 2.5km/hr B) 4.2 km/hr C) 5 km/hr D) 10.5 km/hr. A) 19 years B) 29 years C) 39 years D) 49 years. For children too there is no greater instrument of education than the conversation they hear at home. It is unjust to them when nothing is spoken before them but the trifles of dress, the gossip of the neighborhood, the cares of the household which press too heavily upon the parents, the follies and vanities of the world, which are hardly apprehended by their innocent minds. They are naturally initiative, and a great part of their character is derived from their parents. If there is no life or mirth in a house, the children of the house will be commonly dull and stupid; and if they never hear subjects rationally discussed, they will not learn to think or reason; if the world in which we live is allowed to pass unheeded by, they will be without interest, listless and unobservant. This home education which they acquire insensibly is as important as the more formal work of the school, and it is as much our duty to provide food for their minds as for their bodies. They do not live by bread alone, but by every word that proceeds out of the mouth. 1) What sort of conversation does the author think good for the children? A) Trifles of dress. B) Irrational talks. C) Vanities of the world. D) Subjects rationally discussed. 2) Why does the author think that children may become dull & stupid? A) They don’t play. B) They watch TV. C) Due to lack of life in house. D) Due to education. 3) What conversation helps children to think and reason? A) Rational B) Irrational. C) Dull. D) Spiritual. 4) What should parents do to prevent children becoming “without interest, listless and unobservant”? A) Should play with them. B) Should not allowed the ‘world to pass unheeded by. C) Should take interest in them. D) Should take care of them. 5) What is the difference between the education children get at home and the education they get at school? A) There is no difference. B) School education is more good. C) They learn to think and reason at home. D) They learn sensibly at school only. 1) How many spokes are there on Ashok Chakra? A) 30 B) 25 C) 24 D) 8. 2) Which is national animal of India? A) Tiger B) Lion C) Panther D) Elephant. 4) Who is the C.E.O. of ICICI bank? A) K. V. Kamath B) Usha Narayanan C) Anil Ambani D) Vijay Dhoot. 5) Social worker Baba Amte is known for ……..
A) Environment B) Anandwon C) Sevagram D) Gyanpeeth. 6) Who is the seeded golf player of India ? A) Jyoti Siydar B) Jyoti Randhava C) P.T. Usha D) Ratna K.
7) Which country is the highest producer of gold? 8) Which project is regarded as danger for country’s safety? A) Nuclear B) Setusamudram C) Wagha Border D) Foreign investment. 9) Which state is called state of rising sun? A) Bhutan B) Nagaland C) Manipur D) Arunachal Pradesh. 10) When did micro financing start in India? A) 1987 B) 1947 C) 1970 D) 2007. 1) Forecast: Future : Regret: ? 2) Fossils: Creatures : : Mummies: ? A) Egypt B). Human being C). Animals D). Martyrs. Choose the word which is least like the other words in the group. 3) A) Bardoli B). Bhadravati C). Porbandar D). Champaran. 4) A) Tiger B) Lion C) Fox D) Leopard E) Panther. Y, W, U, S, Q, ?, ? 6) If CHARCOL is codes as 45164913 and MORALE is codes as 296137 how are the following words coded? 7) Anil introduces Rohit as the son of the only brother of his father’s wife. How is Rohit related to Anil?